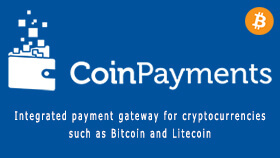 The CoinPayments Payment Gateway app allows you to accept cryptocurrency payments on you website so your customers can pay with Bitcoin, Litecoin, Ripple, Verge, and other cryptocurrencies via CoinPayments for as low as 0.5%. Over 115 different coins are supported, and you can pick & choose which coins you want to accept, and even have payments converted to a currency or cryptocurrency of your choosing. To use this gateway, you will need an active CoinPayments account. 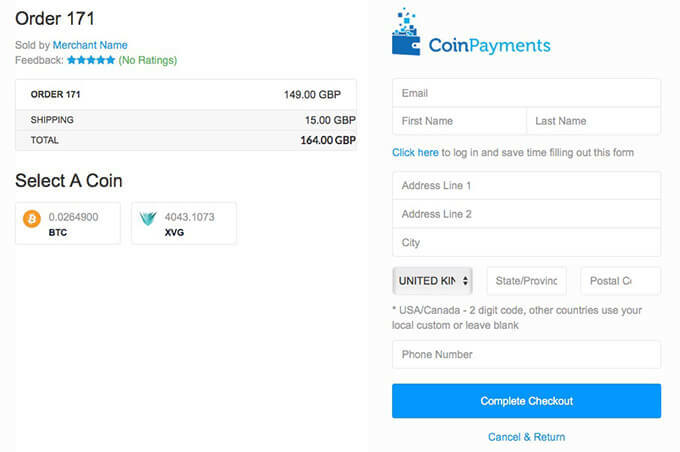 Once you have activated the CoinPayments Payment Gateway app in your website's admin panel, you'll need to grab a few details from CoinPayments. You must have a CoinPayments account to get a CoinPayments Merchant ID. 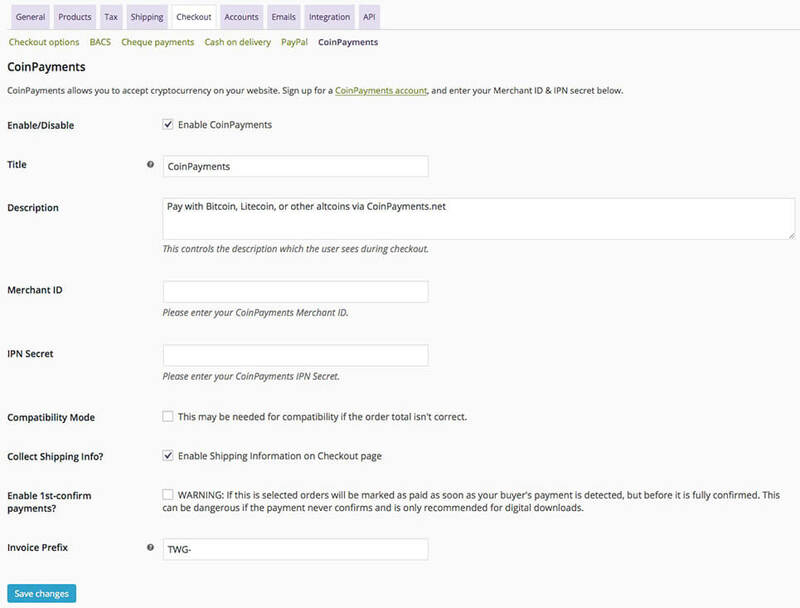 Log in to your CoinPayments account and go to "Account > Account Settings > Basic Settings". 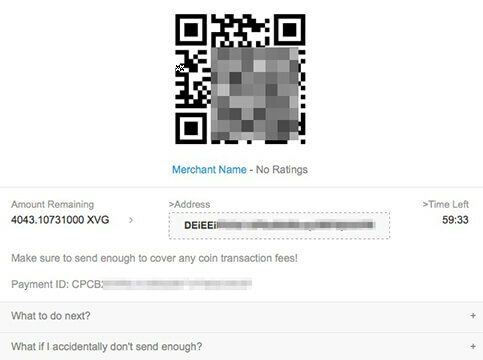 Here you should find your Merchant ID. Next head to the "Merchant Settings" tab and create your own IPN secret (any string of numbers, letters, and words). Take note of both your Merchant ID & IPN secret for your app settings. 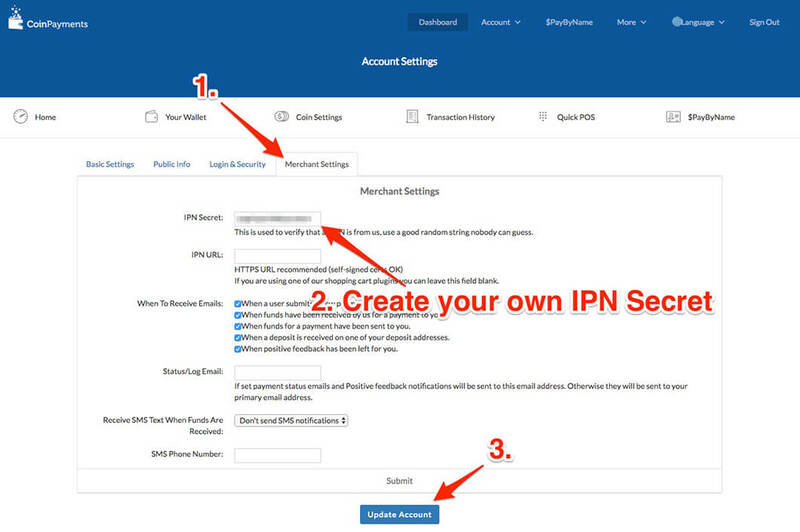 Once you have your Merchant ID & IPN Secret, head to your admin panel and go to "Settings > Store Settings > Checkout > CoinPayments" for the app's settings panel. Enter your CoinPayments Merchant ID & IPN Secret to complete the integration. You can also optionally customise the Title, Description, and Invoice Prefix for the gateway.